I visited the White House for President Trump’s announcement directing the sale of E-15 year-round. This is a big deal for our Nebraska farmers, renewable fuel producers, and rural communities. 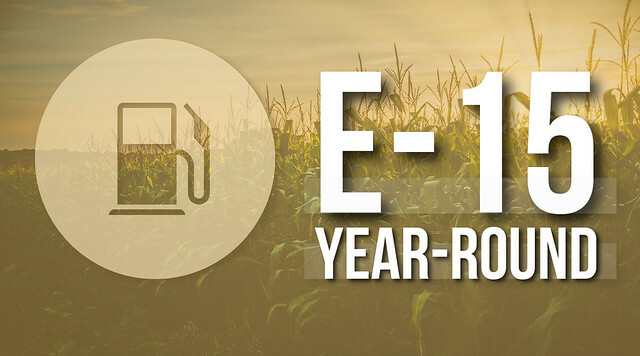 Nebraska is ranked second in the nation in biofuel production and has 25 operating ethanol plants across the state. These plants produce more than 2 billion gallons of renewable fuel annually and have created more than 1,300 good paying jobs. I have long been an advocate for the sale of E-15 year-round, and I am pleased to see the administration take these steps. In October, the Senate voted to confirm Brett Kavanaugh as an Associate Justice on the U.S. Supreme Court. 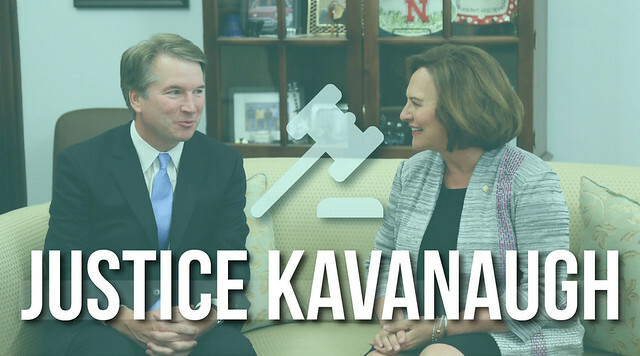 Justice Kavanaugh is an excellent jurist with a deep commitment to our Constitution and the rule of law. Over the course of his 12 years on the D.C. Circuit Court, he was one of the most thoughtful, preeminent judges in our nation. He will serve the American people with distinction. 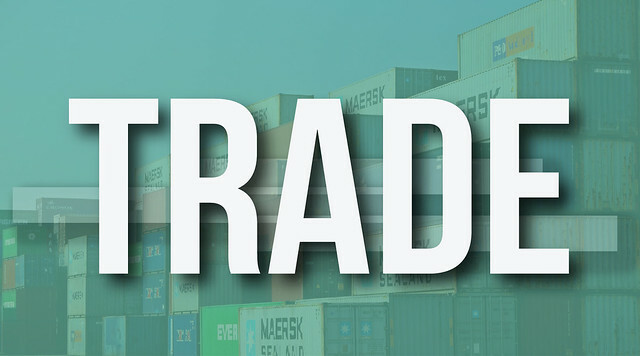 Mexico and Canada are Nebraska’s two largest trading partners. I’m grateful to President Trump for following through on his commitment to negotiate a better trade deal between our three countries. 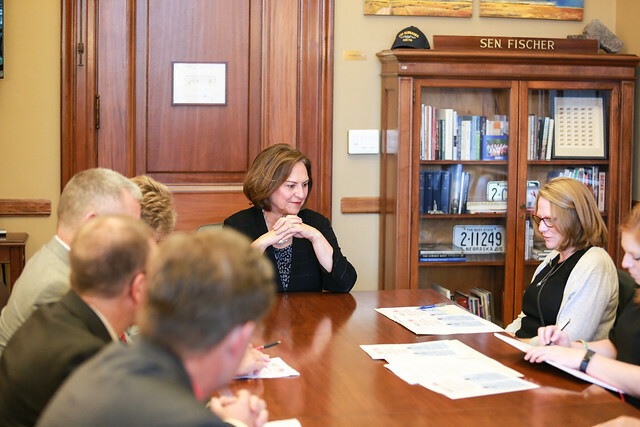 I’m optimistic the United States-Mexico-Canada Agreement (USMCA) will bring good opportunities to Nebraska producers and our state. Opening up new markets for Nebraska producers is the best way to ensure they can prosper and feed the world. I also welcome the start of trade negotiations between our country and Japan, the European Union, and the United Kingdom. 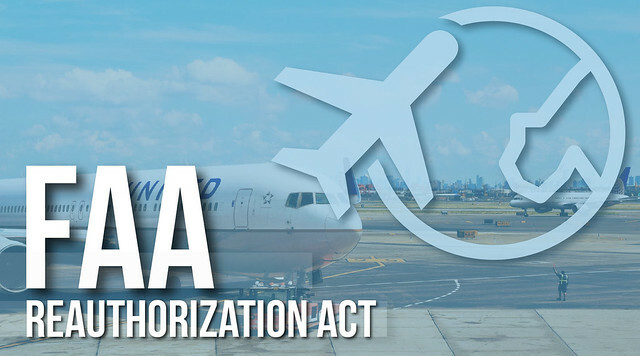 President Trump recently signed meaningful legislation that will reauthorize the Federal Aviation Administration (FAA). In this bill, I secured provisions that provide funding and certainty to a number of regional airports across Nebraska. Read here for more information about the specific provisions in the FAA bill for Nebraska airports. President Trump nominated Brian C. Buescher of Omaha to serve on the U.S. District Court for the District of Nebraska. 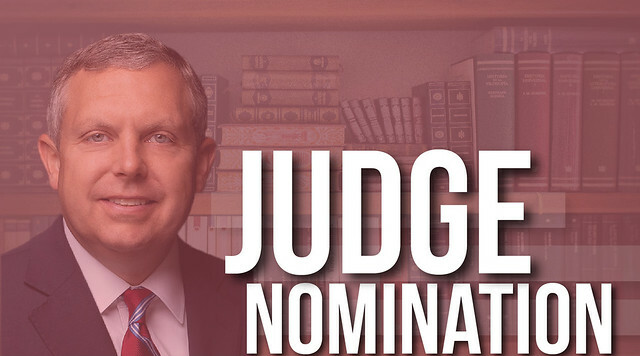 Mr. Buescher has had a successful legal career and his background, experience, and judicial philosophy are the reasons Senator Sasse and I recommended him to President Trump for this judgeship. I am looking forward to a fair and swift Senate confirmation process so Mr. Buescher can soon serve on the Nebraska federal bench. 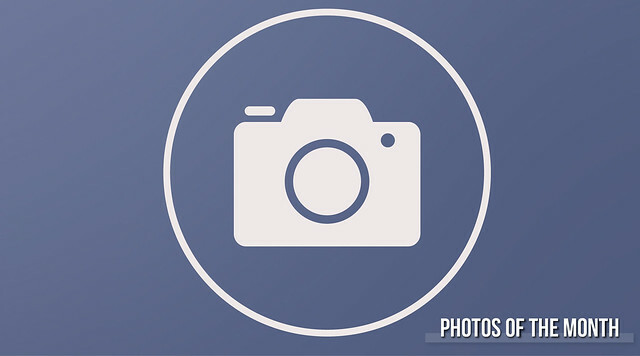 Learn more about the selection and confirmation process here. 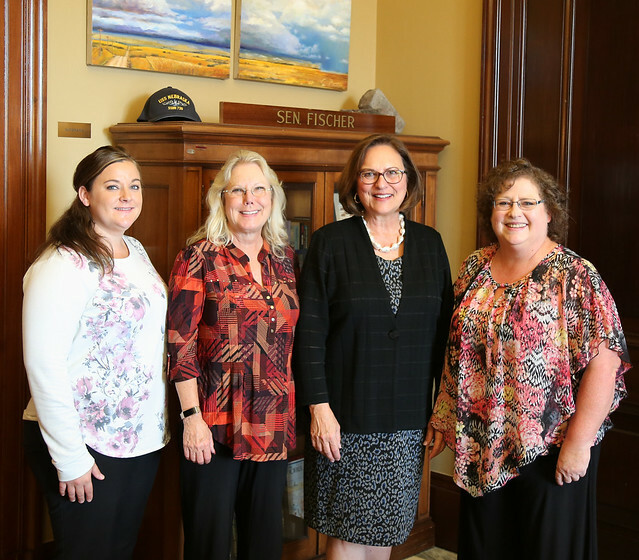 It was a pleasure to meet with Head Start Association members Amy Heinen from Humphrey, Deb Ross from Hastings, and Christie Ference from Ord. These women represent organizations dedicated to bettering the lives of children, families, and communities across Nebraska. 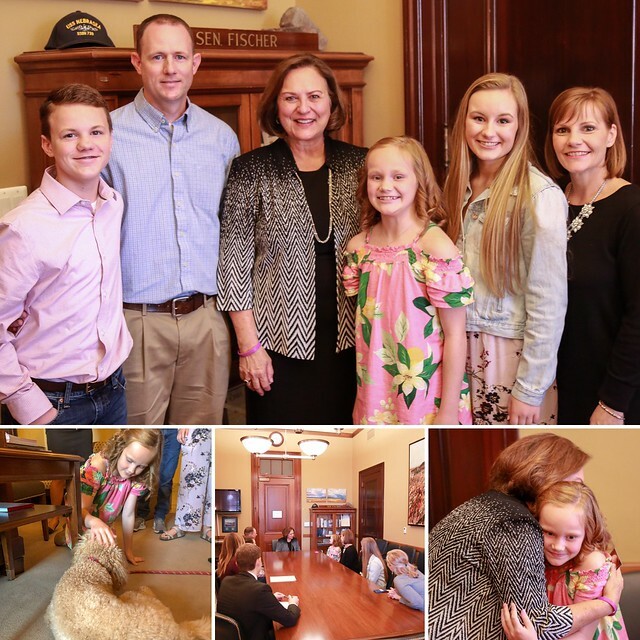 It was wonderful to meet Grace Fry and her family during their visit to the Senate. Grace shared the story of her battle with Acute Myeloid Leukemia and talked about the quality care she received at the Children’s Hospital in Omaha. I enjoyed hearing about Grace’s trip to D.C. and of course Fred loved meeting her, too. 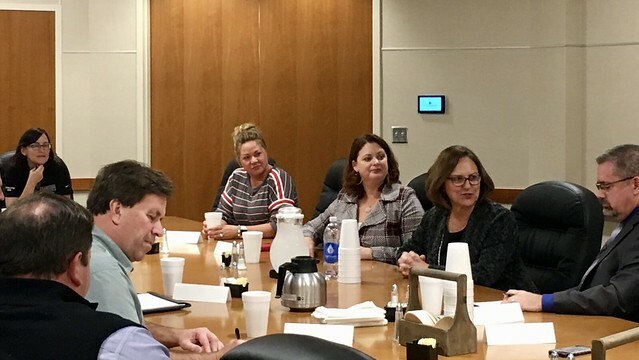 While in York, I hosted an economic development roundtable with leaders in the community. Thanks to all of the participants for the productive discussion. 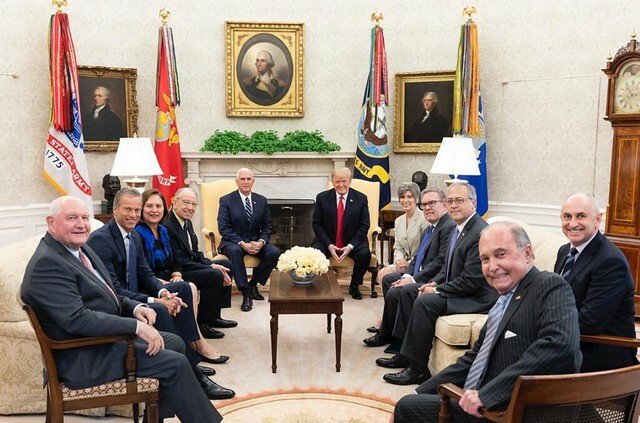 I recently had the honor of joining President Trump, a group of my Senate colleagues, USDA Secretary Sonny Perdue, and EPA Acting Administrator Andrew Wheeler at the White House for the announcement of year-round E-15 sales. I enjoyed sitting down with Nebraska Rural Electric Association members to discuss topics including the Farm Bill and rural broadband.